VE Exams will resume January 4, 2018, at Nate’s Place, 2701 N 48th Street. This is the location where Northside Cafe used to be. 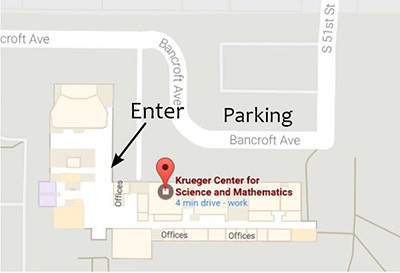 VE exams will be held on Wednesday, November 1st at 6:30 pm in room 109 of Krueger Hall. Have you thought about getting your Amateur Radio license but don’t know where to start? Join us in room 109 at Union College’s Krueger Center (approximately 50th and Bancroft) from 18:30-21:30 starting Wednesday, Sept 20, and continuing each Wednesday through November 1. No book required and classes are free! There is no need to pre-register, just show up on September 20.